Most people are familiar with the menagerie of animals that populate the lunar zodiac. Each year is represented by its own creature – a pig in 2019, a dog in 2018, a rooster in 2017, and so. But did you known that there are also 12 celestial guardians that protect mankind and serve mankind along with the lunar animals? It’s true, and now they form the basis of a fascinating series of pure silver medals from South Korea that puts a new spin on the traditional conception of the lunar year! Struck by the government-owned Korea Minting and Security Printing Corporation (KOMSCO), the ZI:SIN Medal Series uses Korean gods and goddesses that directly relate to the lunar animals. Pronounced “Chingus,” ZI-SIN translates to the “Twelve Guardians,” in English. The third release in the series is this 2019-dated medal depicting the warrior goddess Scrofa. Minted in a full ounce of 99.9% silver, the medal shows the battle-hardened goddess dressed in armor and regalia reflective of the pig. Known as Justice Haechi, Scrofa stand resolute with her sword ready to defend the world against threats to the sacred Salt-Lake, a divine passageway between the mortal and immortal worlds. What makes this particular medal even more fascinating is the addition of a “ghost” image. One of Scrofa’s abilities is to become a doppelganger – a body double – of someone else. In an effort to mimic that legendary ability, KOMSCO included a special variant among its release of these medals. On these pieces, the variant replicates the design of the standard Scrofa medal but with an incused, hooded doppelganger of herself standing behind her! It’s eerie and totally cool! The One-Ounce Silver Ghost Scrofa Medals in this offer come in gleaming Gem Brilliant Uncirculated (BU) condition, meaning that each is the product of a superb strike that places it firmly among the elite of the run. Just 10,000 of the magnificent silver beauties have been authorized for worldwide release. Coin collectors, lunar zodiac aficionados and silver stackers alike will all be battling for these coins. Now you can go to the front of the line and secure your 2019 ZI-SIN One-Ounce Silver Ghost Scrofa Medal today simply by clicking one or more to your cart today! A NEW TAKE ON LUNAR ZODIAC – The third release in the ZI:Sin or “Twelve Guardians” series from South Korea, each medal features one of 12 Korean Gods representing the commanders of God’s army. Each is related to one of the Eastern Lunar Zodiac with 2019’s Scrofa design representing the Year of the Pig. The obverse shows the image of Dokkaebi, a supernatural goblin that, despite its grotesque appearance, is a symbol of good luck. UNIQUE “GHOST” VARIANT DESIGN – KOMSCO, the official Mint of South Korea included a special variant among its release of these medals. 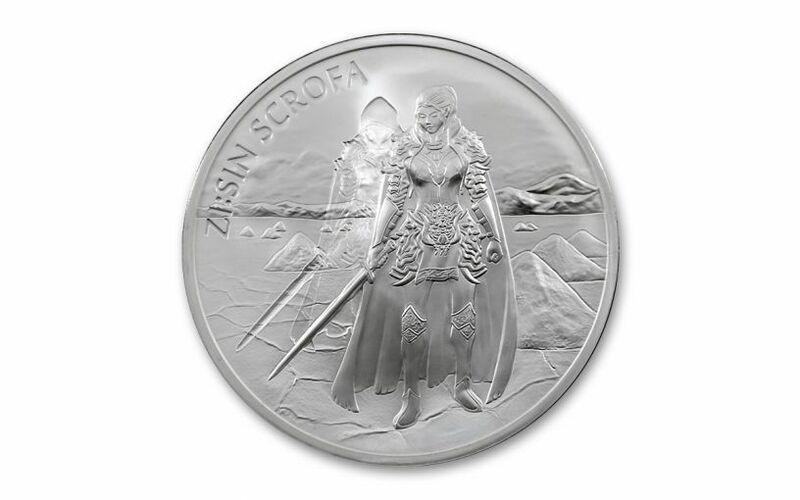 On these pieces, the variant replicates the design of the standard Scrofa medal but with an incused, hooded doppelganger of herself standing behind her. 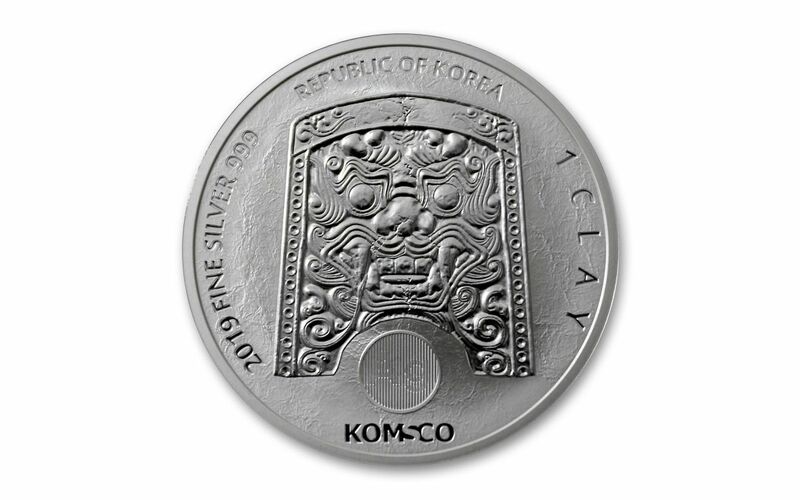 STRUCK IN HIGHLY-PURE SILVER –Each 2019 South Korea ZI:SIN Ghost Scrofa Silver Medal was struck in one ounce of highly-pure 99.9% silver. GLEAMING BRILLIANT UNCIRCULATED CONDITION – Your 2019 South Korea ZI:SIN Ghost Scrofa One-Ounce Silver Medal comes in gleaming Gem Brilliant Uncirculated (BU) condition, meaning that it is the product of a superb strike that places it firmly among the elite of the run. LIMITED-EDITION RELEASE – The number of 2019 South Korea ZI:SIN Ghost Scrofa One-Ounce Silver Medalvariants has been established at just 10,000. The 2019 South Korea ZI:SIN Ghost Scrofa One-Ounce Silver Medal offers a fascinating new take on the Lunar Year of the Pig with a Korean warrior goddess standing in for a pig. Make it part of your lunar collection today!